Quality and reliability are key factors for an organization offering insurance services. They are top priorities for all aspects of the business, but especially for client contact in the call center. For these reasons and their previous positive experience with Jabra, Uniqa Biztosító Zrt. chose Jabra headsets and VoIP adapters when they set up their call center. The call center workstations have been implemented with the noise-filtering function enabled by Jabra GN2000 IP mono headsets and Jabra GN8120 VoIP USB adapters. The ease of use and lightweight design are important factors for a call center agent, as operators often conduct long conversations with clients. The Jabra GN2000 IP headsets have flexible, noise filtering-enabled microphones that eliminate background noise and provide excellent quality voice transfer. The ergonomically designed headphones are padded and ensure optimal comfort for operators. The potential sound level fluctuations during telephone conversations are controlled by Jabra’s PeakStop™ technology. Mr. Brindza Zoltán,Client Service Leader, Uniqa Biztosító Zrt. “We have been using Jabra GN2000 IP mono headsets at Uniqa Biztosító since we set up our call center. Our first positive impressions were confirmed, and as we continued to work with the solution, our decision to purchase the headsets and the auxiliary USB adapters was justified. They not only meet our quality expectations, but because of their ergonomical design, they earned the approval of our call center employees as well. Moreover, the excellent support structure also justifies the purchase of Jabra headsets,” says Mr. Brindza Zoltán, client service leader at Uniqa Biztosító Zrt. The Uniqa Biztosító Zrt. call center provides bank assurance services. There are 26 terminals where operators are using Jabra solutions. In the call center, the Jabra GN2000 IP headsets have been integrated into the existing system via Jabra GN8120 VoIP USB adapters. 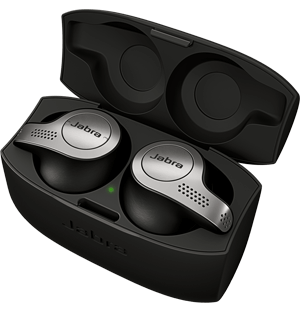 “We tested the Jabra solutions before the actual purchase. This experience and their earlier positive experience with Jabra were reassuring for the operators. Already at the time of purchasing the TCT call center system, our workers had opportunities to try Jabra headsets, while focusing on the problems they most often had in performing their daily tasks. After the first impressions, the actual work experience with the solution also provided solid evidence that Jabra solutions are able to guarantee the technical, ergonomical and HSSE preconditions of high quality client service work,” says Mr. Brindza Zoltán. The call center’s security and backup system is based on Alcatel telephones and switchboard and there has been only positive feedback about the Jabra solutions. The highly reliable Jabra GN2000 IP headsets make continuous, highquality work a reality. “If there is a malfunction, a fast and professional maintenance and repair service is at the disposal of the insurance company,” says Mr. Brindza Zoltán. 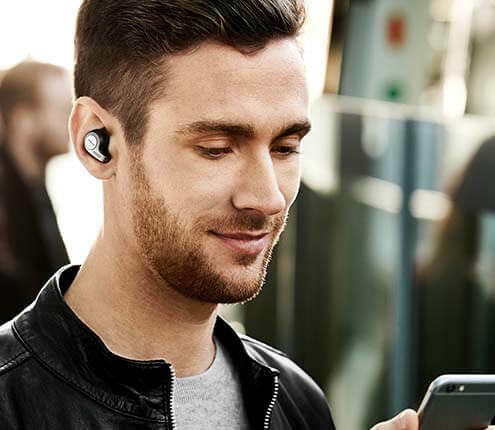 The professional team at Jabra provides continuous technical support and assistance to the company’s partners who are responsible for the maintenance and support of their solution, and any new technology solutions from Jabra. UNIQA Biztosító Zrt. was founded in 1990 and is a member of UNIQA Group Austria since summer 2003. The company is the sixth largest insurer in Hungary, sells all lines of both life as well as non-life insurances and offers pension fund and health fund products. UNIQA Biztosító Zrt. has a countrywide sales network consisting more than 850 agents. Achieving higher quality and reliability of service.